Last week I shared with you a few of the busy bags for younger kids that I pull out from time to time for my grand daughter. Now that she is 3 years old, I’ve upped the game a bit and have pulled out some “older kid” busy bags that she calls her “activities.” Most of the busy bags in these posts are from a swap I participated with in 2014. You can see, the activities have lasted a good long while! And as the days grow longer, busy bags for long summer evenings will be a wonderful way to wind down. This has been Joyness’ favorite bag, and I must say, it is a great one! 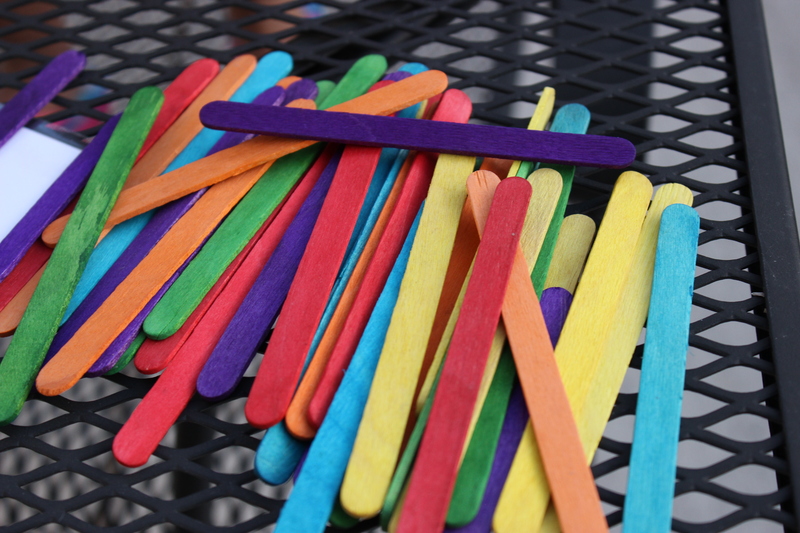 There are about 20 pattern cards in our bag, and a wonderful stack of colorful craft sticks. Joyness took right to sorting and matching the patterns. 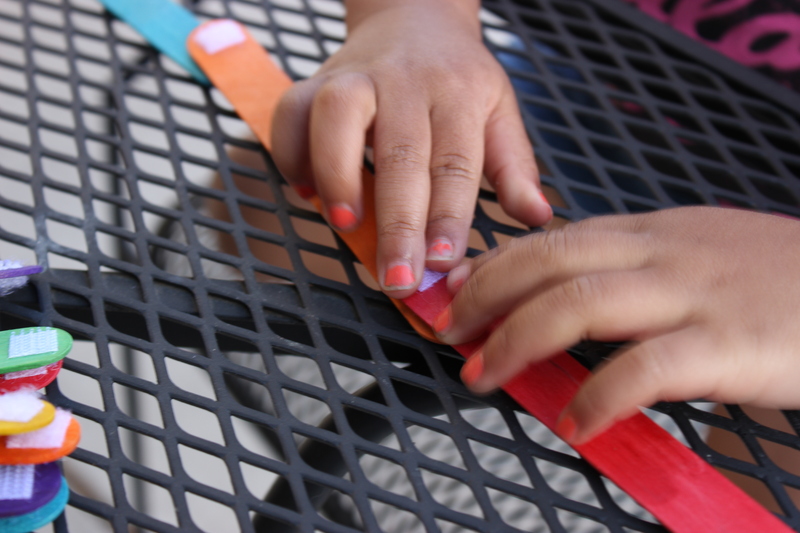 The fine motor skills needed presented a little challenge for her. I’ve enjoyed watching her persevere, and also stop trying so hard to get the sticks perfectly on the patterns. 2. Bugs in a Jar – the laminated paper jar is simpler than a real jar, and very easy for little hands to work with. 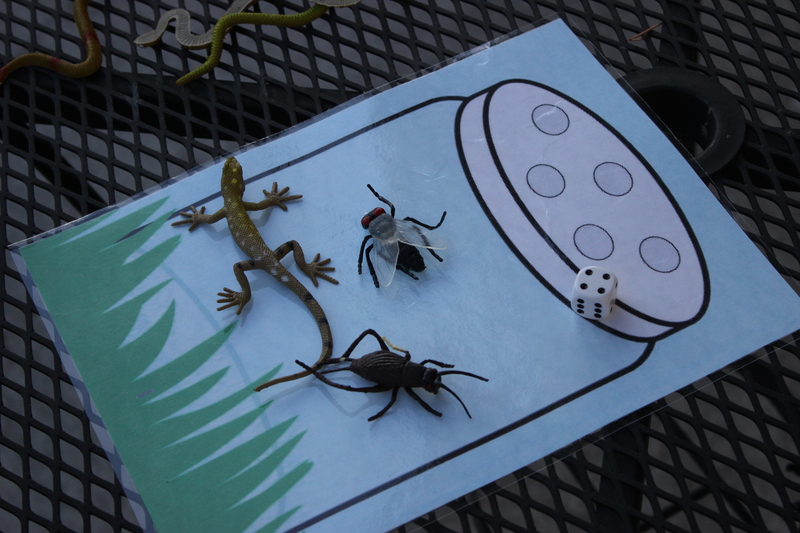 Add a bag of insects and one die, and you have a fun activity. Roll the die and help the child count the dots. Then add that number of insect to the jar. Don’t be surprised if the insects start flying around the yard or house, and fly into your glass of water. 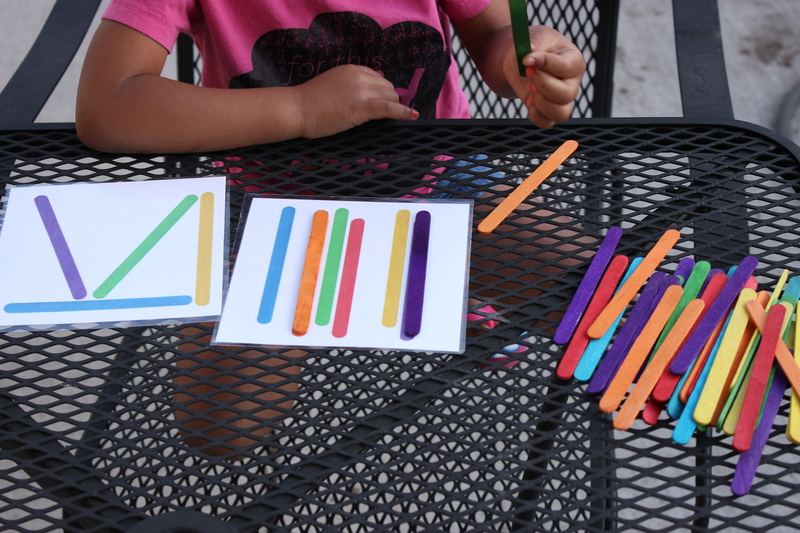 Take another stack of the colorful craft sticks and add velcro tabs to the ends. Be careful to alternate the soft side and the sticky side of the velcro on the sticks. Toss the sticks in a bag. These are great for making shapes, fences, or boxes for the above insects. Okay, here are 3 more busy bag ideas. 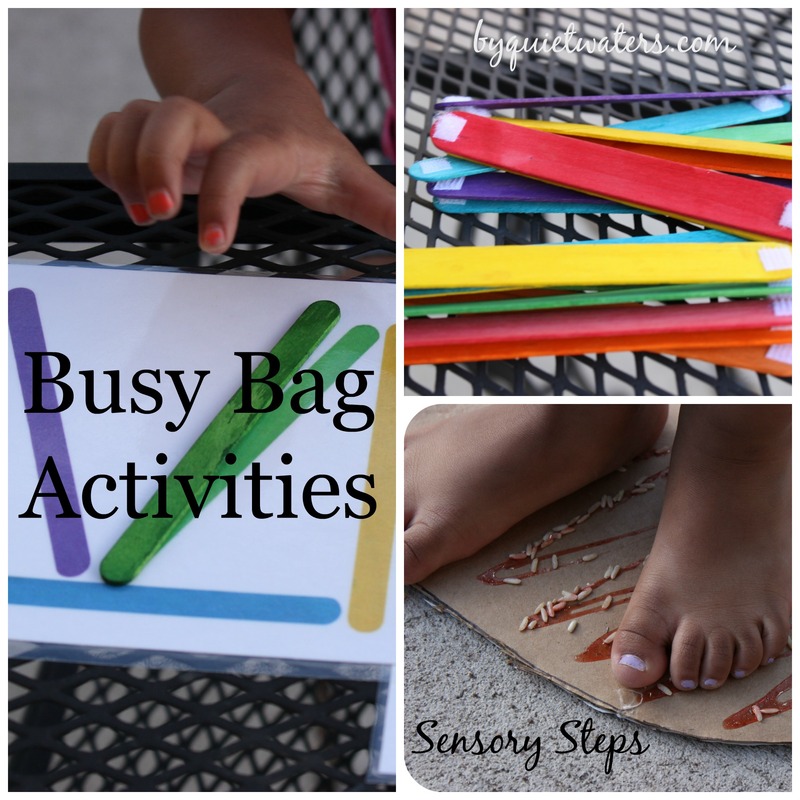 Please share ideas and busy bags links in the comments, so we can offer more quiet wind down activities for those long summer evenings. There are affiliate links in this post. You can read my affiliate disclosure here.